The CERTIFIED FINANCIAL PLANNER™ certification is a recognized standard of­ excellence for comprehensive financial planning. An individual who has earned these marks has met the education, examination, experience and ethics standards established by the Certified Financial Planners™ Board of Standards (CFP® Board). Therefore, a financial planner who has earned the CFP® marks should be distinguished from a financial planner who has not. Consumers need to be aware that there is nothing preventing a person from declaring themselves a "Financial Planner", and it is therefore incumbent upon the consumer to differentiate between a planner who has earned the marks and one who hasn't. Examination: Candidates for the CFP® certification must pass a rigorous two-day, 10-hour CFP® Certification Examination administered by the CFP® Board that covers the financial planning process and includes such topics as tax planning, employee benefits and retirement planning, estate planning, investment management and insurance. Experience: Candidates for CFP® certification must prove they have experience in the financial planning process before being authorized to use the CFP® marks. Ethics: Candidates for CFP® certification have their backgrounds checked by the CFP® Board, and must also disclose any investigations or legal proceedings related to their professional or business conduct. The CFP® Board reviews all such disclosures and investigates those statements that indicate areas of concern. Candidates must also adhere to the CFP® Board's Code of Ethics and Professional Responsibility and Financial Planning Practice Standards. It is also necessary for every CFP® certificant, once certified, to complete a re-certification every two years. Those seeking to maintain their certification must attain a minimum of 30 hours of continuing education in order to stay current with developments in the financial planning profession and to better serve their clients. Two of these hours must be spent studying the CFP® Board's Code of Ethics and Professional Responsibility or Financial Planning Practice Standards. 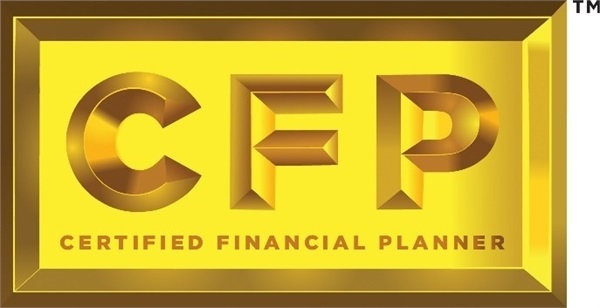 Certified Financial Planner™ Board of Standards Inc. owns the certification marks CFP®, CERTIFIED FINANCIAL PLANNER™ and federally registered CFP (with flame design) in the U.S., which it awards to individuals who successfully complete CFP® Board’s initial and ongoing certification requirements.